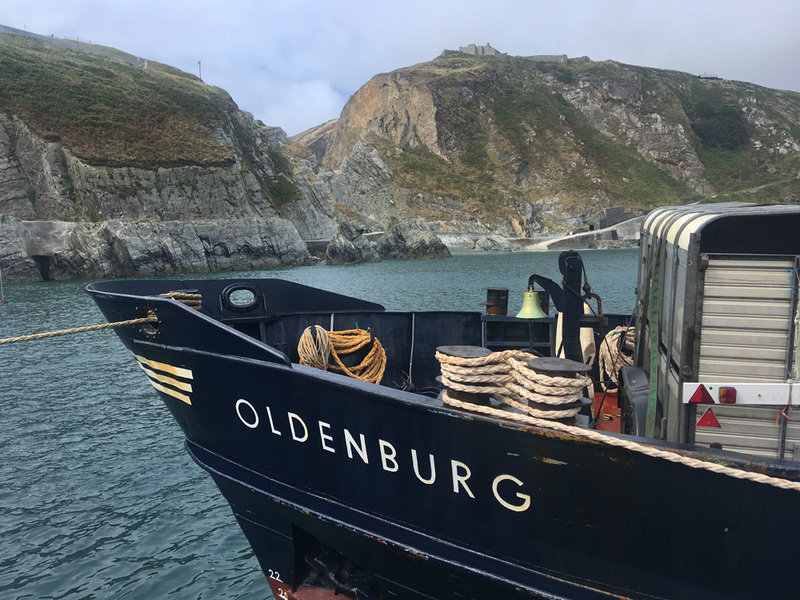 “I’ve wanted to go to Lundy Island since I about was 5 years old’ the woman in front of me excitably exclaimed as we handed over our boarding passes as we filed on to MS Oldenburg in Bideford. 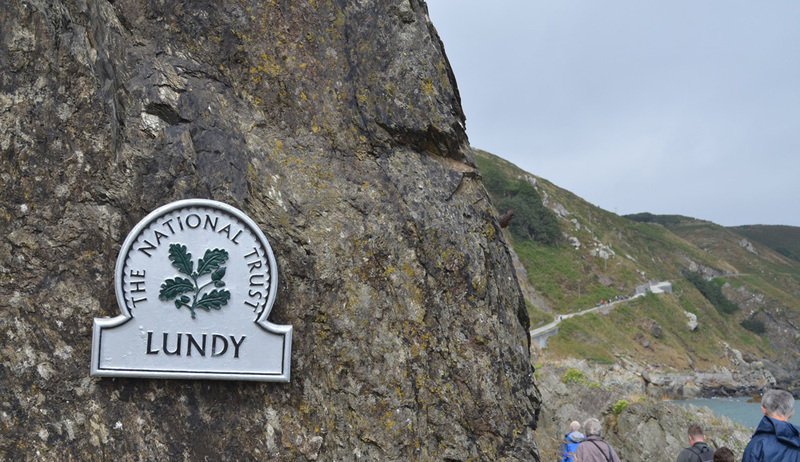 Having spent most of my time living in the Midlands, I had not heard of Lundy Island until I moved down to North Devon in May. 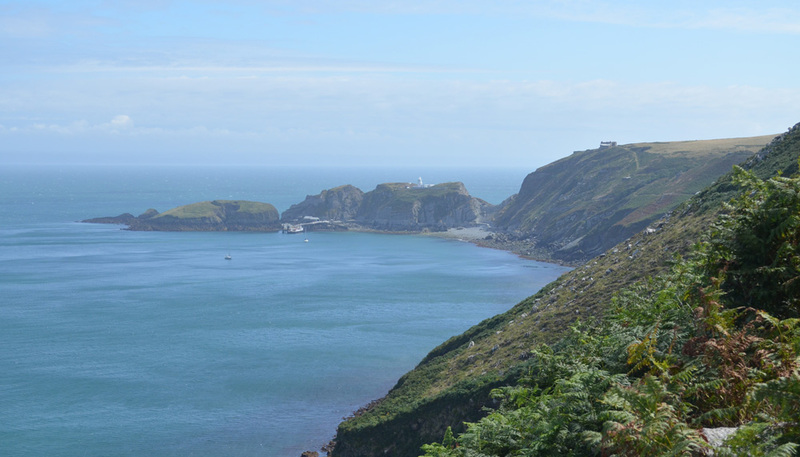 On a clear day, I can see the islands outline from my bedroom window, and was intrigued to explore. 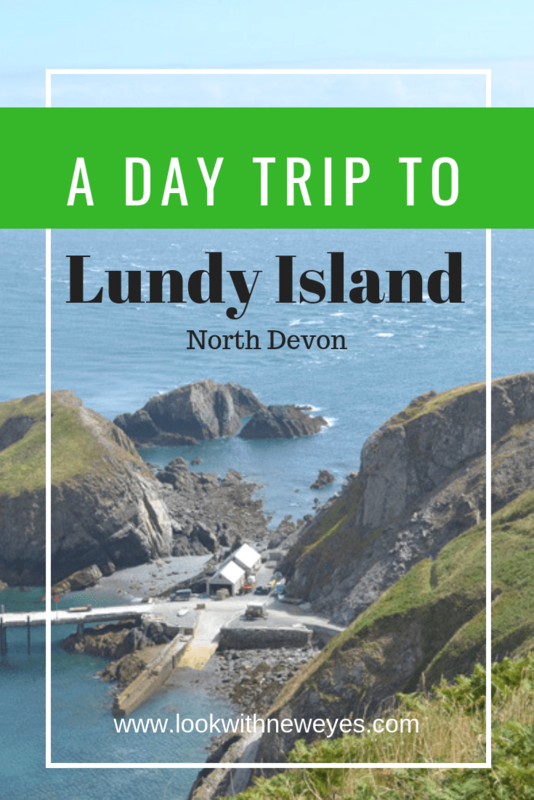 The boat to Lundy usually goes from daily from Ilfracombe, but a couple of times a month, when the tides fall in the morning and evening, the boat sails from the small town of Bideford, 10 miles from Barnstaple. 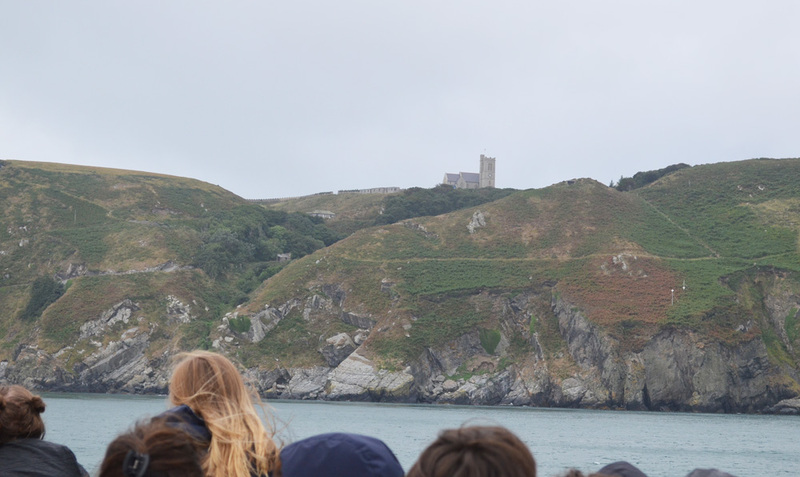 On a grey August morning, I joined the summer holiday crowds of families and day trippers on board. As we sailed down the river towards the wide open seas, one of the crew members pointed out sites of interest on the loudspeaker, the Tarka Trai cycle route, the shipyard which has y been building an Irish military vessel. 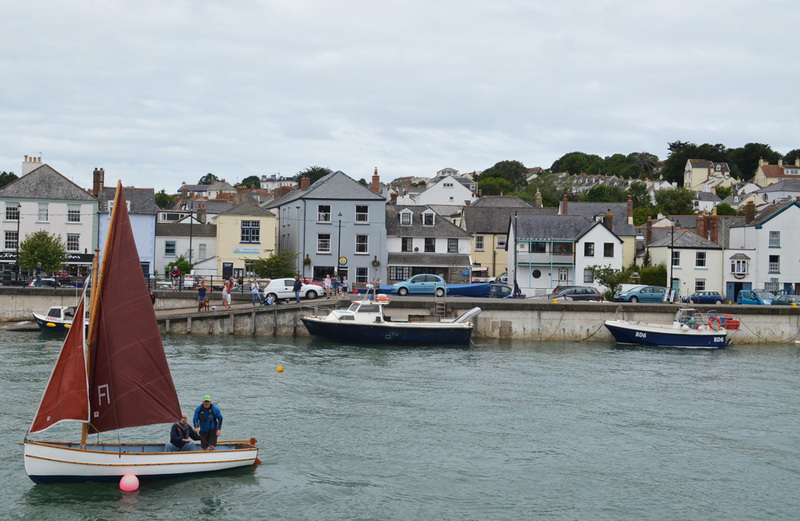 On the quay in the village of Appledore, kids were trying their luck at crabbing and waved wildly as we glided past. 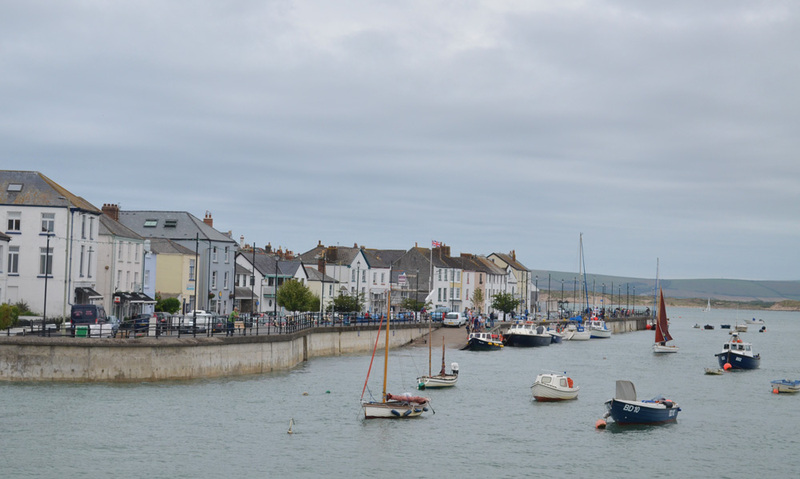 Appledore marks the point of the Torridge estuary river meeting the Bristol Channel, and as we increased our speed, the boat began to rock and sway. The crew began to circle, giving out white bags to pale-faced passengers. 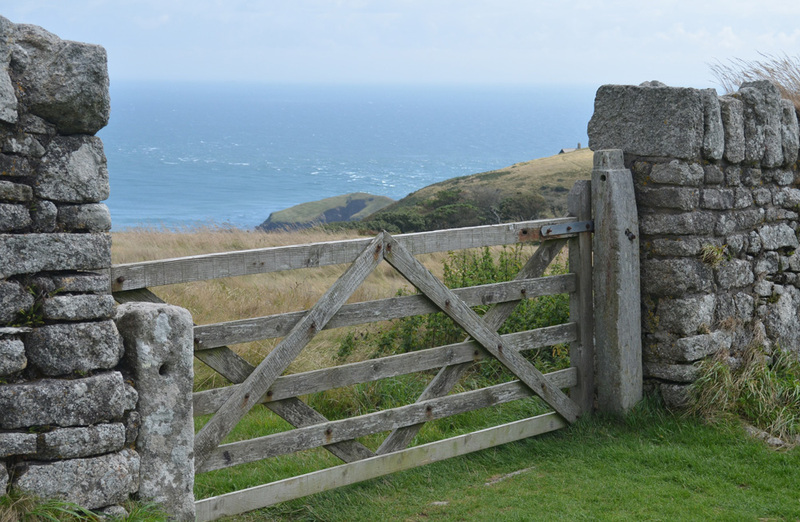 I sat outside on the deck, thankfully escaping any queasiness but was relieved to see Lundy come into view. 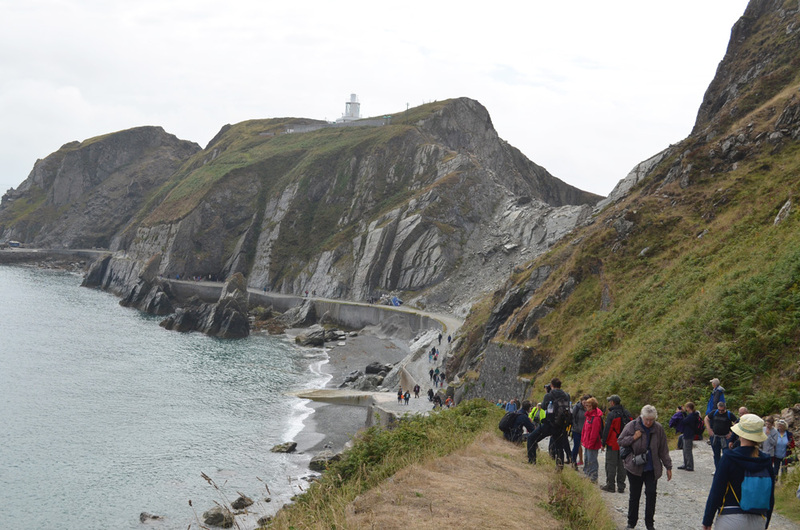 Safely on dry land, I began the walk up to the main village on Lundy, which is up a fairly steep stony path and rough steps. 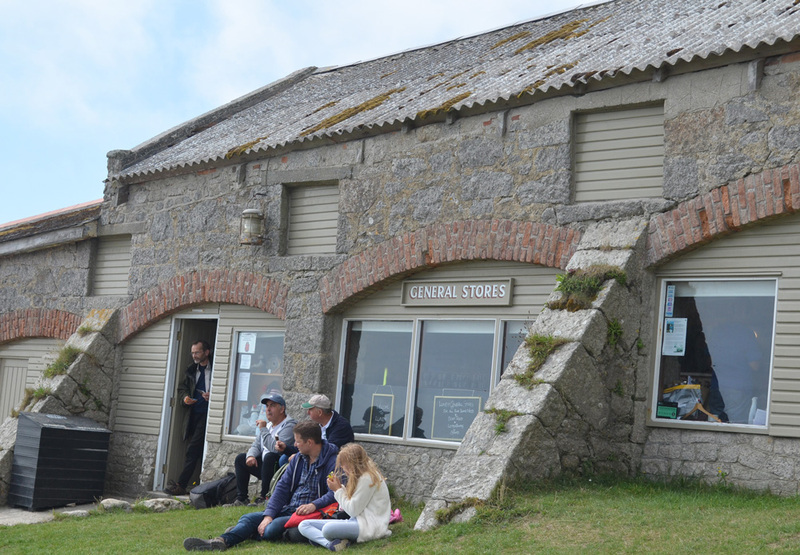 The little village on Lundy consists of a pub/restaurant (the Marisco), a general store, a church and a campsite. 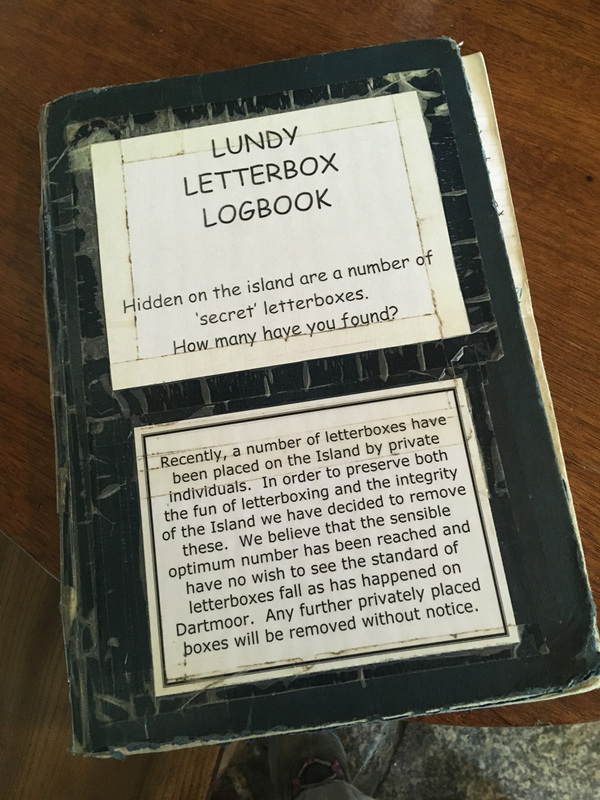 Before the trip, I had read about letterboxing on Lundy, a series of boxes which are hidden around the island which you navigate to using a set of clues and a compass. Each box contains an ink stamp which you stamp in your little notebook. If you manage to find all 27 stamps, you can hand your notebook in at the Marisco and you will be awarded a certificate. 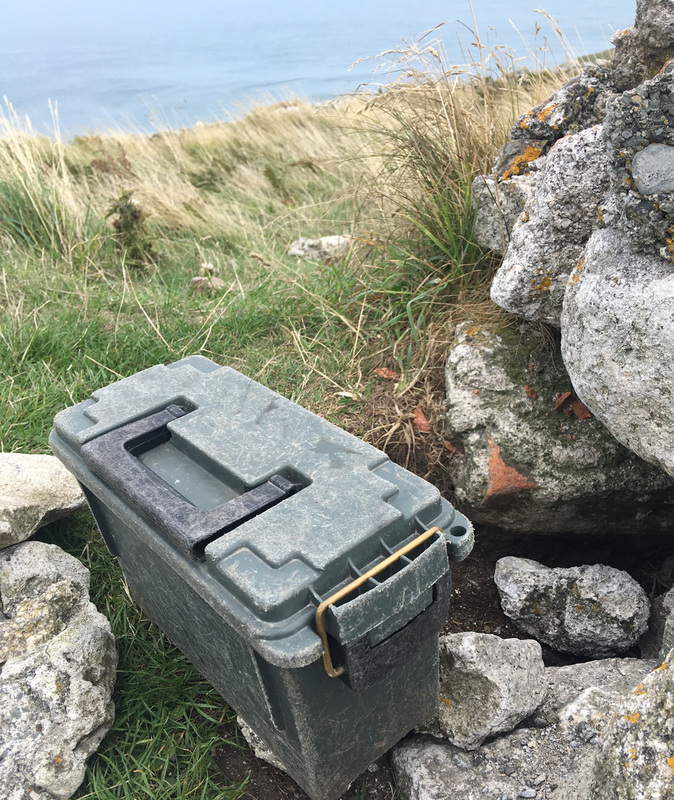 I knew I wouldn’t have time to find all 27, but as a self-confessed geek who already loves geocaching, I headed straight to the general store to pick up my letterboxing pack, for £7.50. 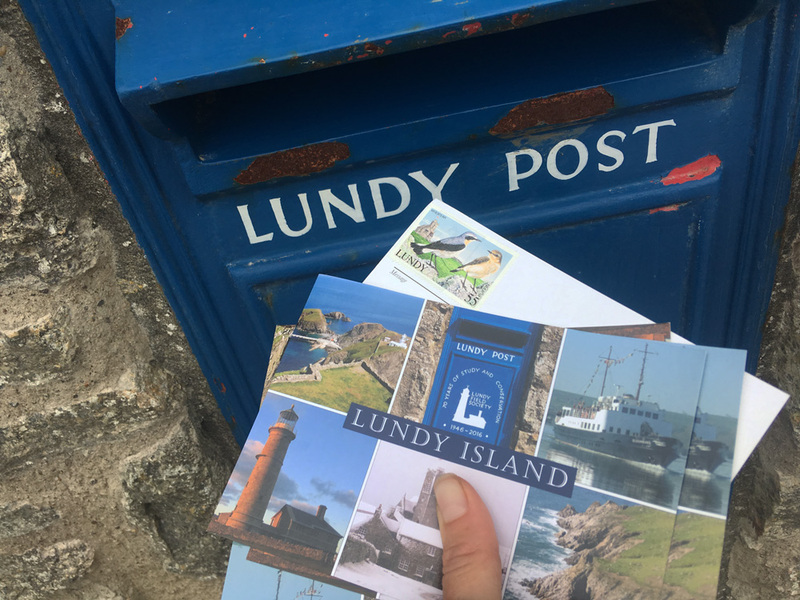 I also picked up some postcards and stamps, as Lundy has unique postal stamps and I knew my equally geeky family would appreciate one. 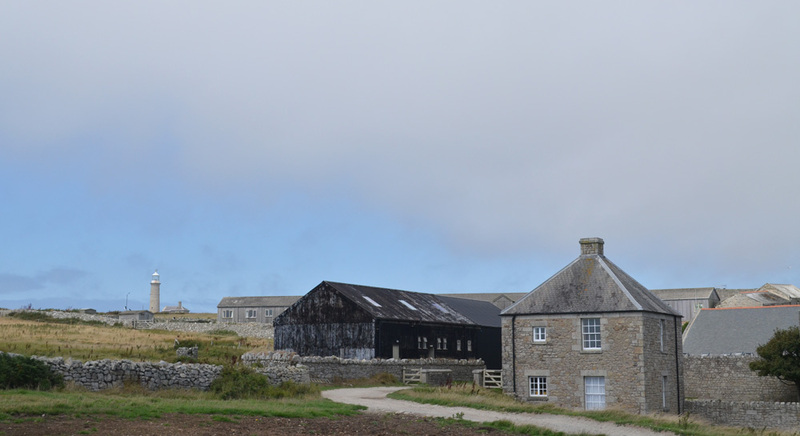 To my delight, I also found some chutneys and jams made on the island, the lady who served me in the shop proudly exclaiming she had made the raspberry jam the previous evening! 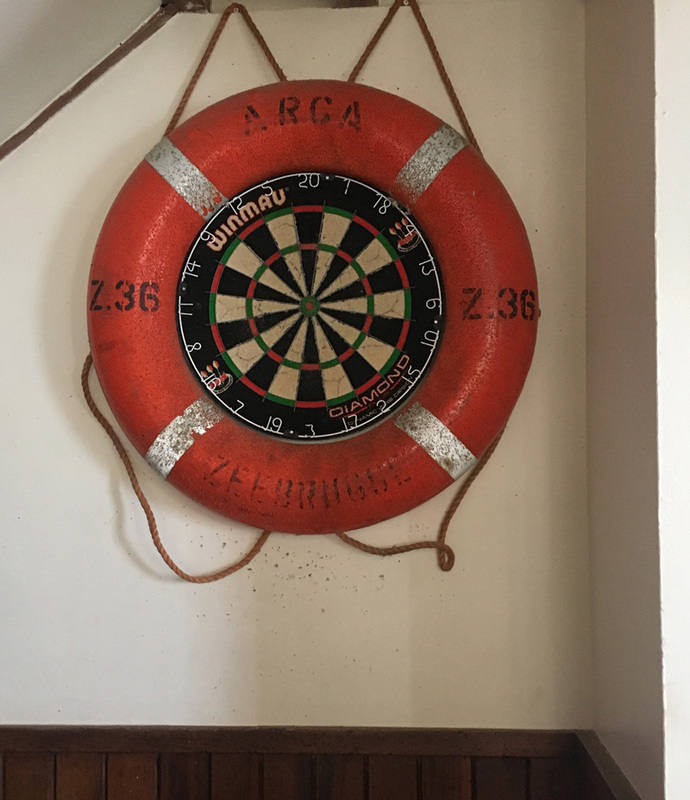 The clues are colour coded into green (easy), orange (medium) and red (hard). 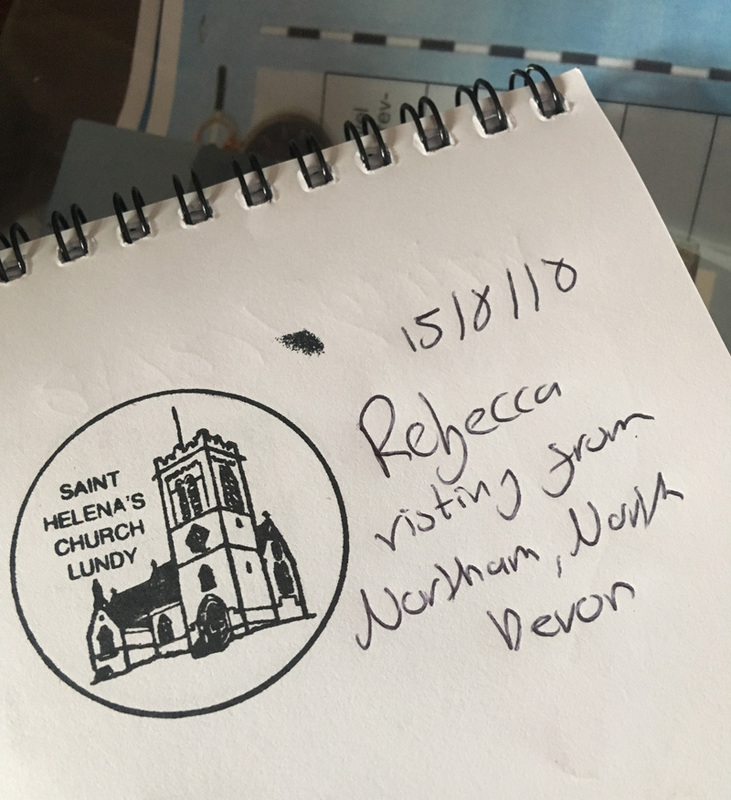 I decided to start with an entry level clue and made my way to the local church in search of my first stamp. Thankfully, the clue took me straight there and I opened my little puffin notebook for its first stamp. 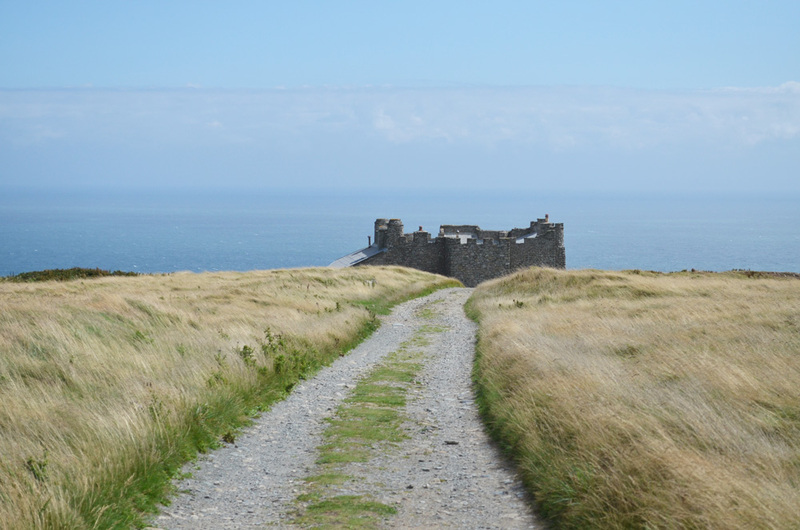 Checking the map and orientating myself, the next closest clue was towards the old castle ruins. I muddled around with my iPhone compass, scratching my head and decided to pause for a lunch break, surrounded by this amazing view back down towards Rat Island. Eventually, I figured the clue out, stamped my book and took off on a path in search of a harder one. 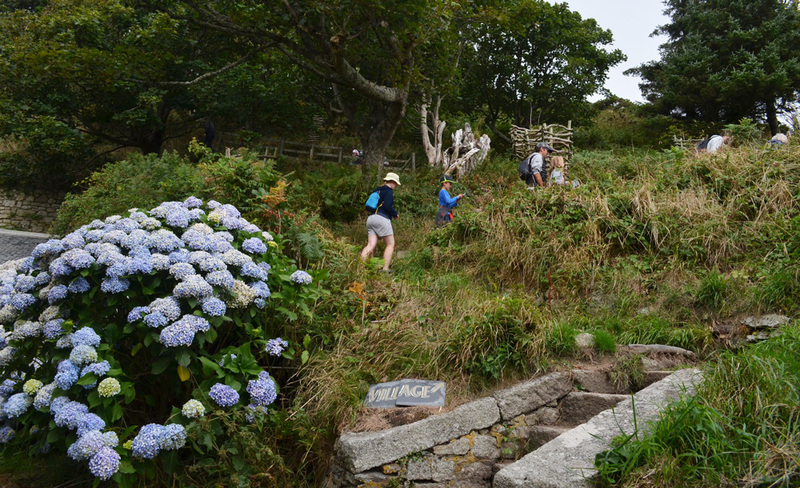 The clue looked to be down a steep path with a sheer drop, and knowing my questionable balance, I decided to push on the walking path along the east of the island, away from the day trippers. 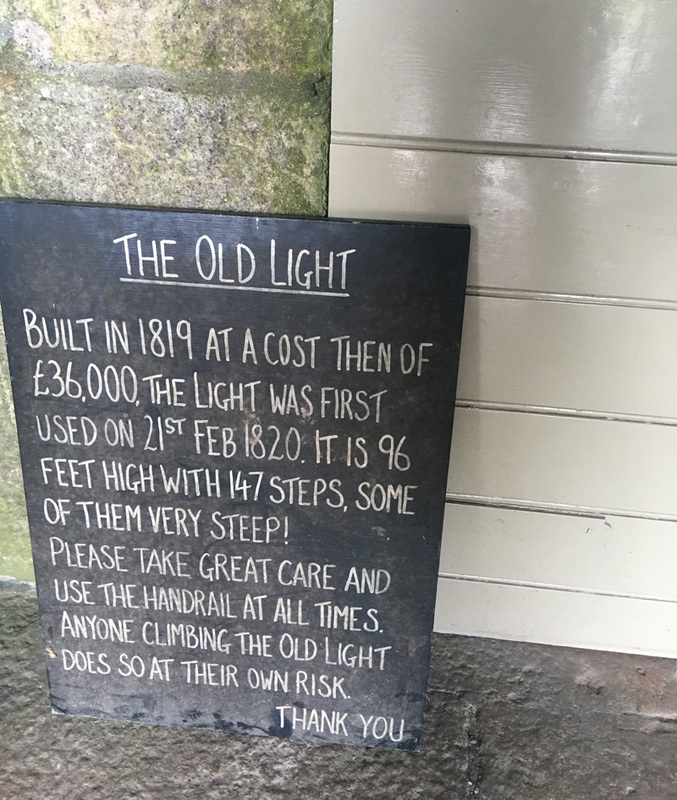 The next one was near an old World War 2 memorial, and whilst it had clear and comprehensive instructions, it was nowhere to be found. 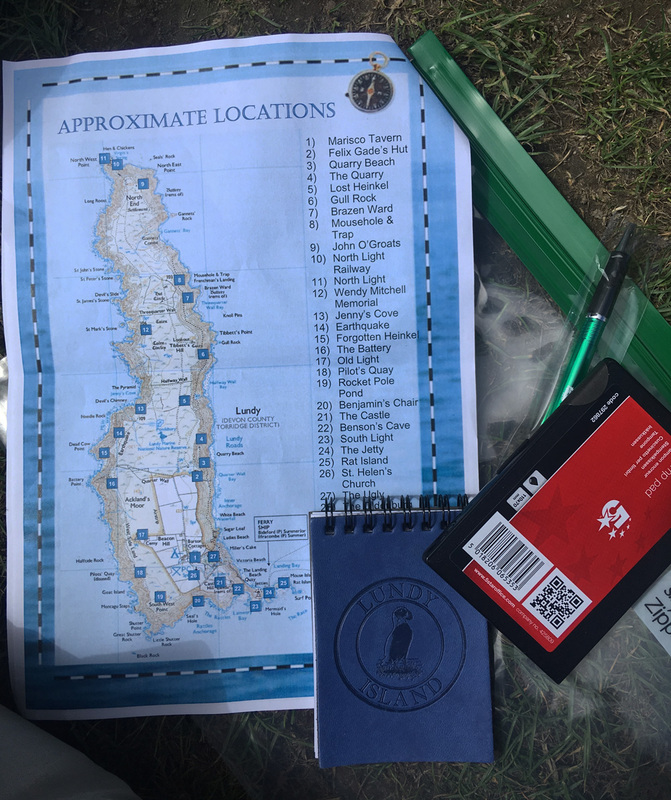 A little grumpy, and aware I only had 6 hours on the island, I decided to give the letterboxing a rest and instead concentrate on exploring the island. 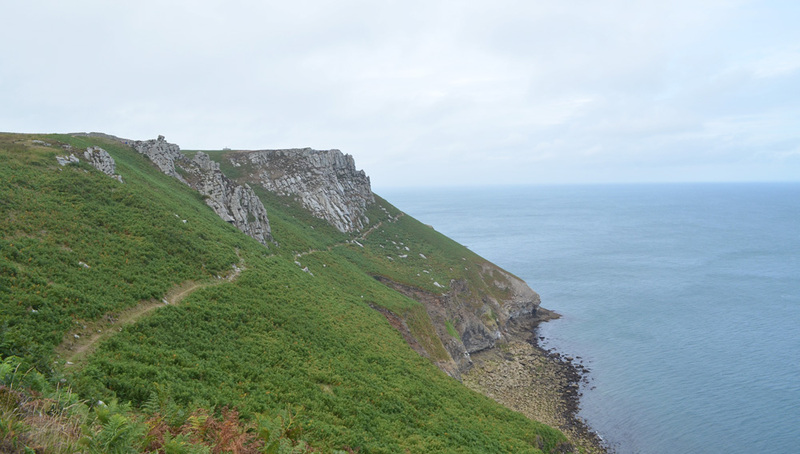 By this point, I decided I probably didn’t have time to make to the far tip of the island, a 3-mile walk so I settled on wandering back down the spine of the island towards the lighthouse. 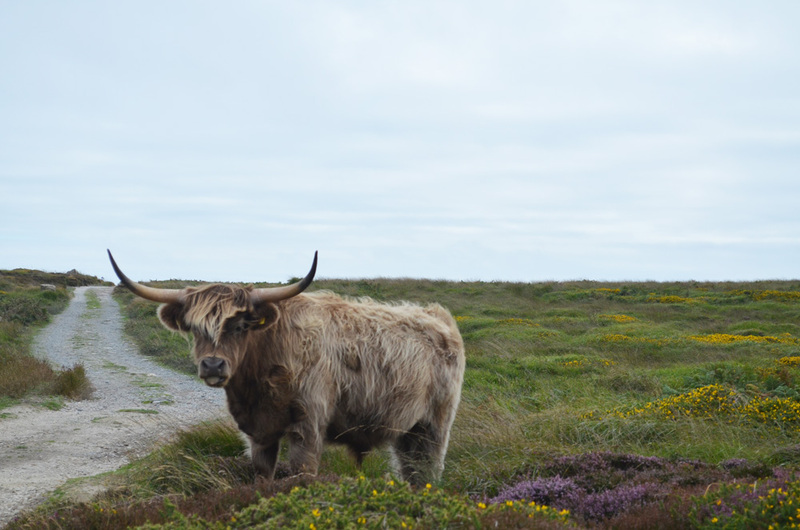 On my journey back, I came across these fellas, surrounded by a purple haze of flowering heather. 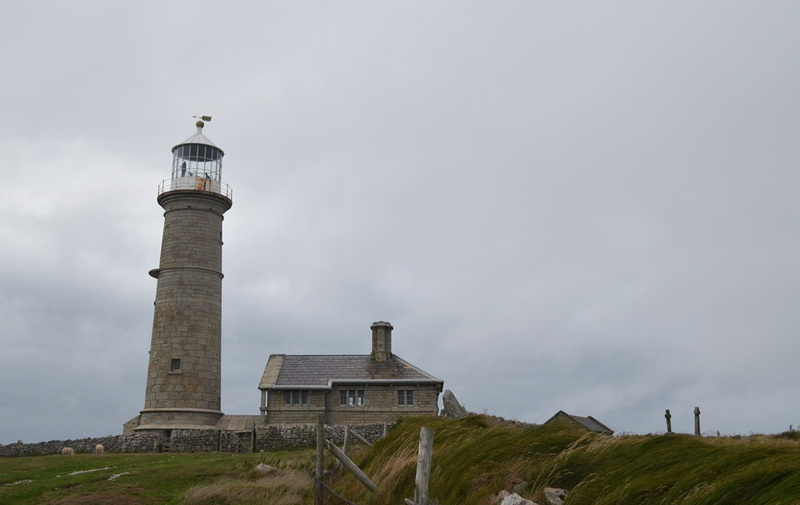 As the wind began to pick up, I took the path to the east towards the old lighthouse, and to my delight, found that I could climb the steep spiral staircase to the top. 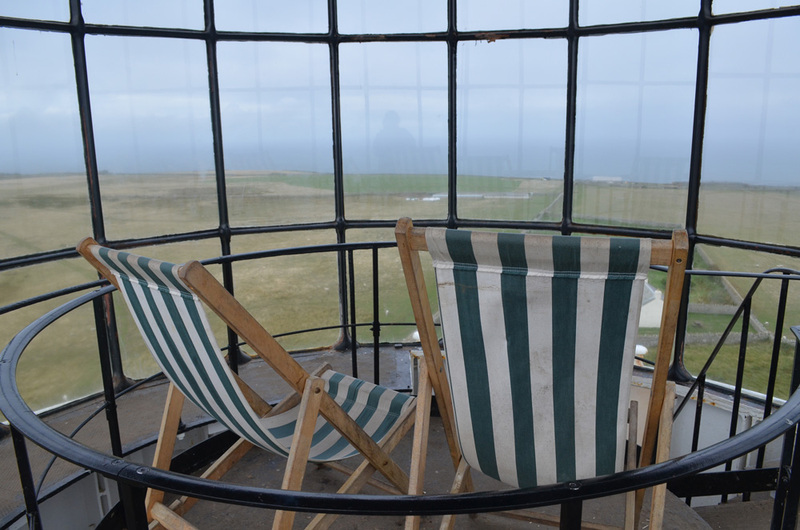 At the top was a surprise – the old lights had been replaced by deck chairs with amazing views across the island! I hunkered down for a while and busily wrote my postcards home, which reminded me of my travels as a child. 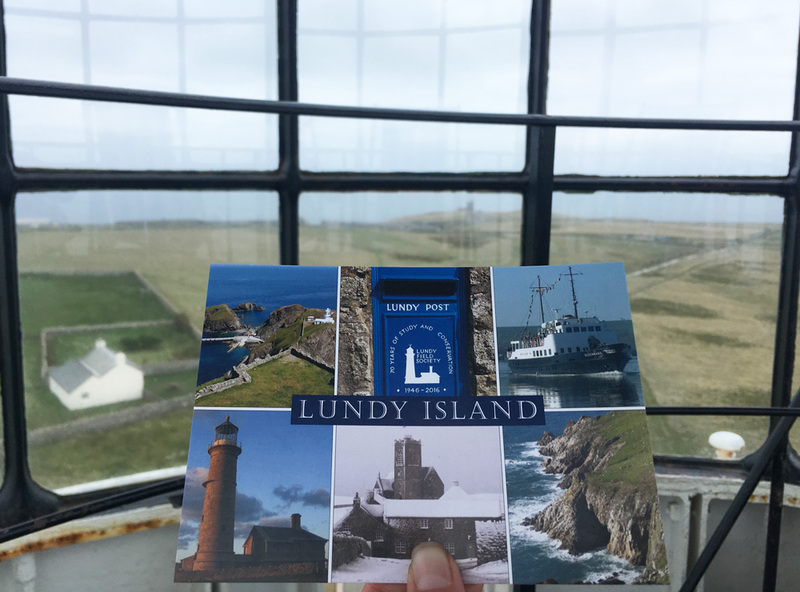 My luck on the letterboxing front was back on as I came across a box at the top of the lighthouse and popped in a self-addressed postcard for the next gamers to send back home to me, a Lundy letterboxing tradition. With time ticking on, I walk back to the village and ducked into the pub to look for the letterbox amongst the games shelf. 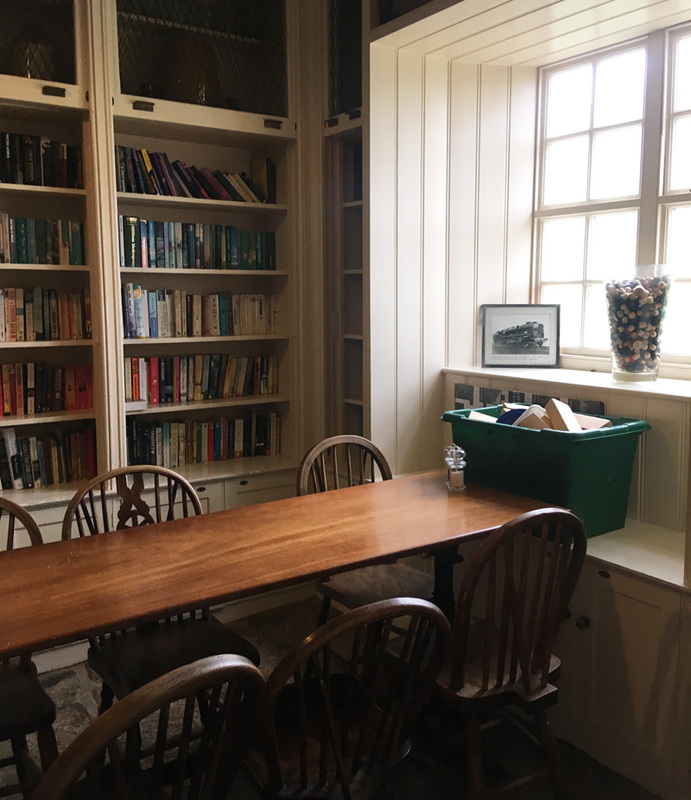 I wished I had a little more time to settle down with a drink, books on nature, wildlife and travel lined the shelves. Also on the shelf was a series of handwritten letterboxing books, with tips and tricks for finding the stamps from past visitors. I will clearly need to consult this if I return! 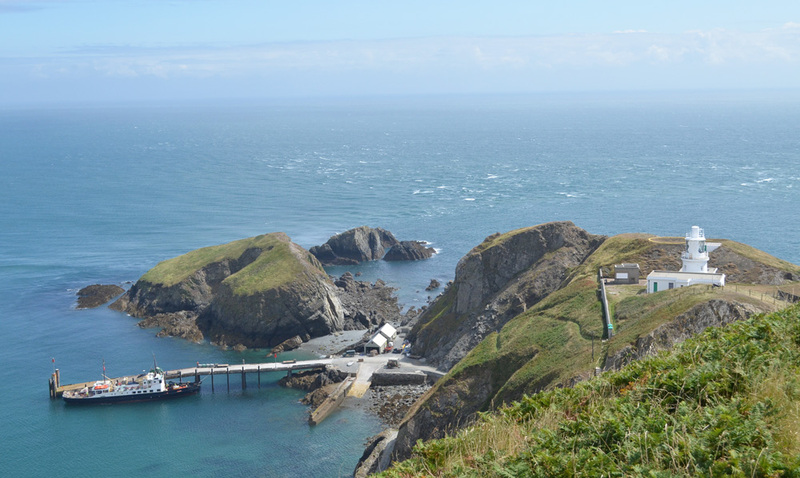 Before taking the path back down to the ferry pier, I drop my postcards off to my quirky family and friends. 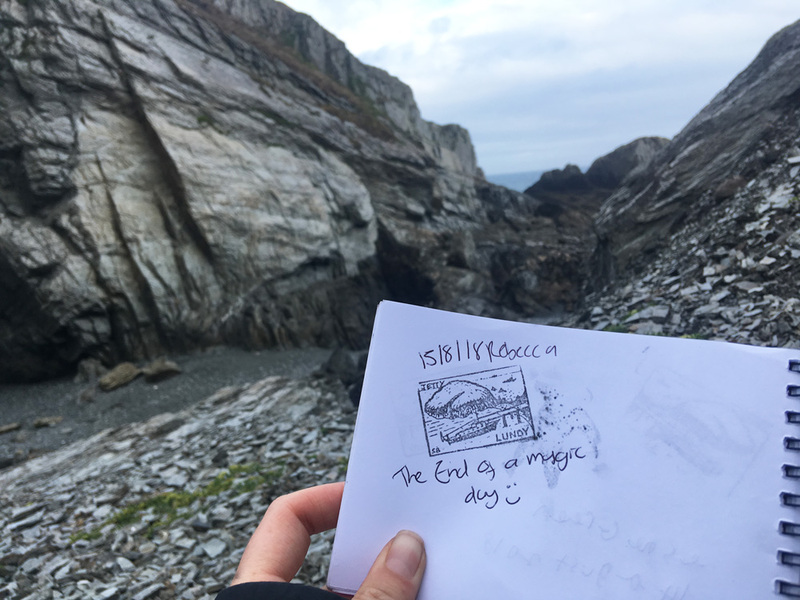 With a little time remaining before boarding, I explore a cave I spotted on the way up and scramble up the rocks behind the small hut near the pier to find a final stamp on the shore. On the way back, I perched myself on the floor of the top deck again. On boarding, a crew member had advised the swell wouldn’t be as rough on the way back, on an incoming tide. 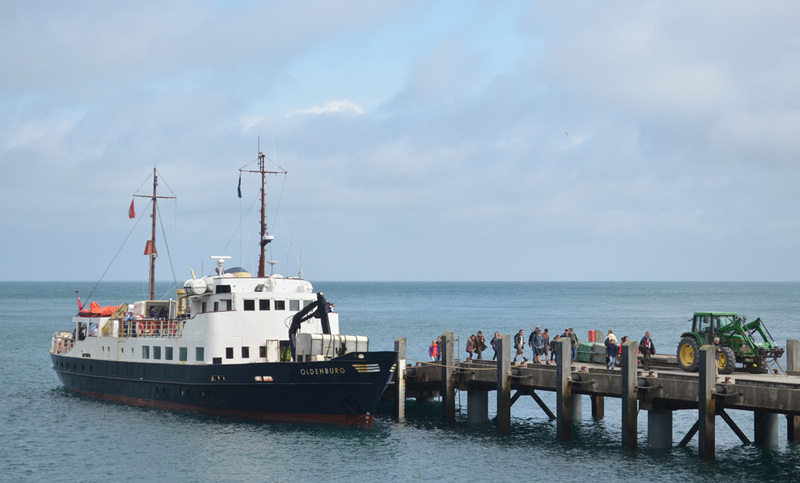 Whilst the swell wasn’t as bad, the boat still rocked and swayed, a choral of screams rang around as the lower deck passengers were splashed by waves. The passengers spent the rest of the journey huddled in blankets which were provided below deck in the galley. Deep in thought, I suddenly notice passengers rushing to the right side of the boat, and as I look up, I catch the fleeting glance of a dolphin rushing alongside the boat. A little girl with her family whoops with joy and high fives her brother. 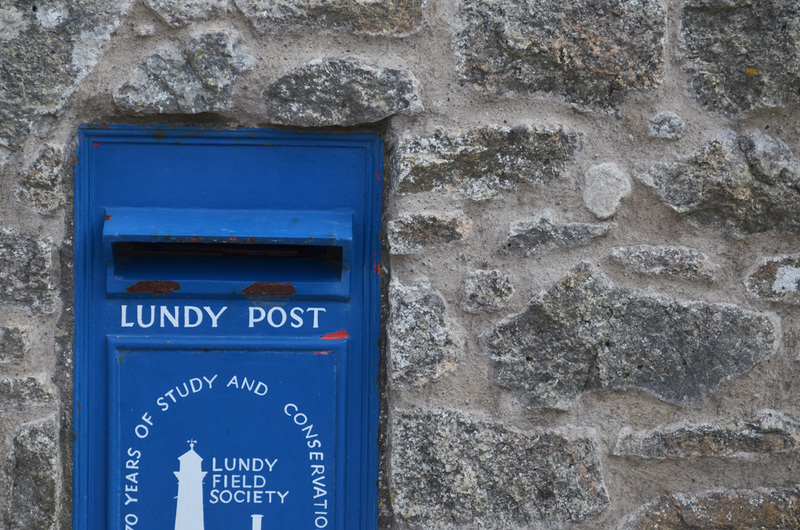 Just before the boat docked back into Bideford, I went in search of the letterbox stamp of the MS Oldenburg in my little notebook. 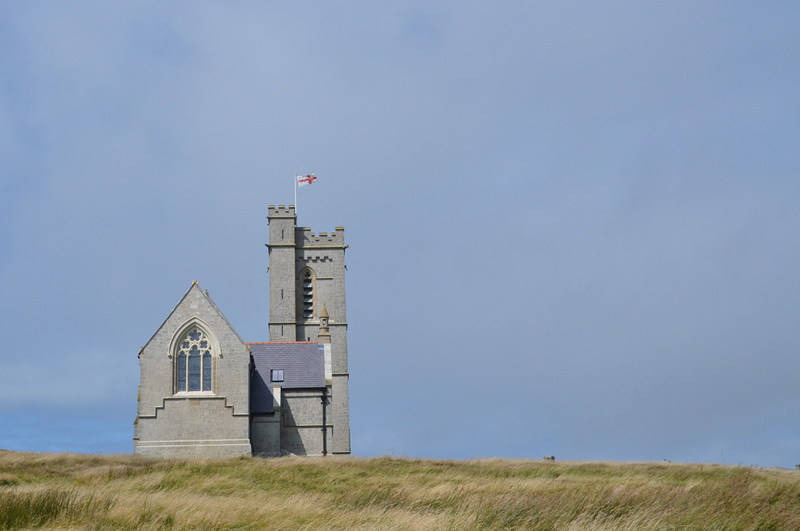 I counted 7 stamps collected on the day, which gives me a good excuse to return to Lundy in the near future. Check out my little video of my day on the island!